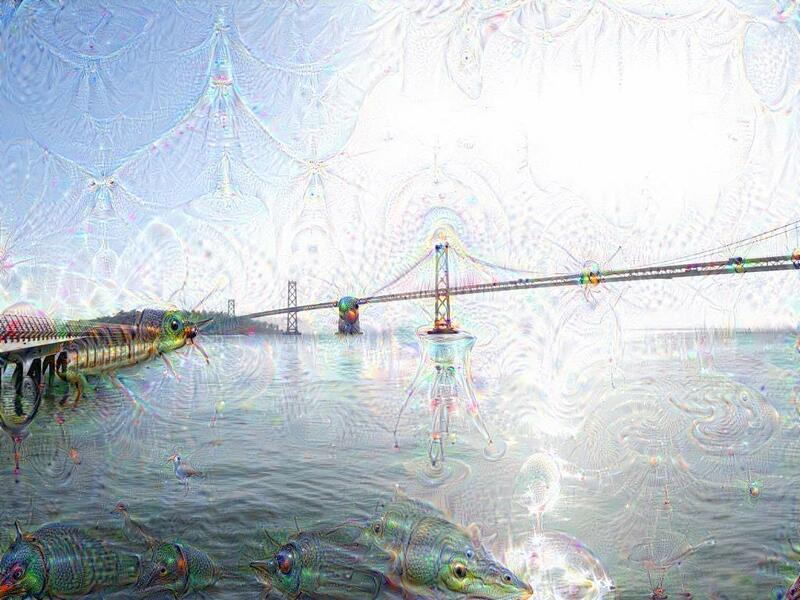 While DeepDream is cool, it’s also notoriously difficult to set up, as it was built by researchers with exceedingly complex software tools. Shortly after its launch, Matthew Ogle and myself decided to put together a web interface - http://deepdre.am to make the process simpler. The site itself is pretty trivial - one page, with three options and one upload button. The fun part wasn’t the visual design or the user experience, but rather the scalable backend services that adapt the system to varying amounts of load without costing much more than a fancy coffee each month. All of these microservices are implemented in Go, Google’s light, simple, and highly concurrent programming language. Using Go ensures some modicum of type safety, allowing me to catch trivial errors at compile time. Go is also trivial to deploy (binaries are generally statically linked and dependency-free) and extremely lightweight. Each of the services listed above consumes around 4MB of memory when serving HTTP requests - less than half the memory used by Ruby just to load the interpreter, not to mention loading Rails or Sinatra. When running on a bare-bones web server to keep costs down, this tiny memory footprint makes an extremely noticeable difference in website performance. On average, both static assets and API requests are served within 30 milliseconds - unheard of when using a large framework like Rails. While microservices are generally supposed to be fairly isolated, each with their own data stores and infrastructure, this project is small enough that I opted to share data stores. In this case, Redis is used for ephemeral data (queueing tasks to be processed1, progress updates, and notifications between processes) while MySQL2 is used for more permanent data. This approach allowed me to keep many of the advantages of microservices - including independent scalability, quick development, and tiny codebases - without using too many resources by spinning up multiple databases. Hosting Redis, MySQL, and a handful of Go-based microservices on a $5 cloud host is trivial and speedy enough to support thousands of hits per minute. DeepDream, however, is a computationally taxing algorithm that requires a lot of processing power, and - ideally - a GPU to execute on. This presented me with a hard problem. How do you provide quick response times without paying $468/month for a g2.2xlarge instance on Amazon EC2? As EC2 instances are billed rounding up to the hour, committing to spawning an instance will cost at least $0.105 and process at most 3600 images per hour. To maximize value, an instance should be spawned when the number of images waiting in the queue to be processed approaches 36006. To spawn spot instances, I used Mitchell Hashimoto’s goamz package, which is a thin Go wrapper around Amazon’s AWS APIs. A combination of a custom private AMI (that includes all of the required software) and cloud-init user data (to force a code update from source control) allows an instance to boot, connect to its data stores, and begin processing tasks in less than 120 seconds. The domain, deepdre.am, costs $73/year, or $6/month. (Special thanks to Matthew Ogle for buying an expensive Armenian domain name on a whim in response to a tweet. Assuming that the site waxes and wanes in popularity in a given month, it’s reasonable to expect about 20 hours of g2.2xlarge spot instance usage, which costs approximately $2. 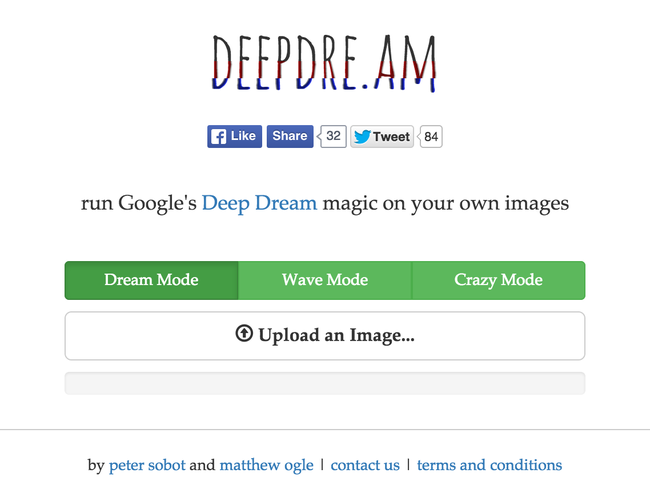 While the code’s not (yet) open source, the site is currently up and running - give it a try at deepdre.am and transform your images, if for no other reason than to stress test the system! Special thanks to Malcolm Ocean for reviewing this post.